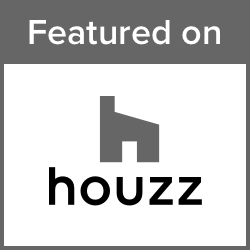 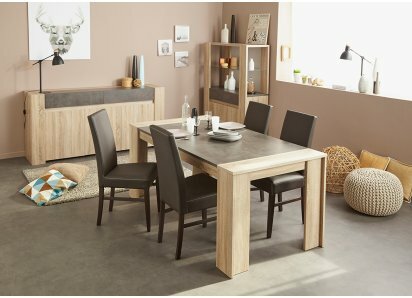 2-TONE FINISH: Light Clay Oak woodgrain foil veneer combines with Dark Concrete veneer to create a natural element that blends with traditional and contemporary homes. 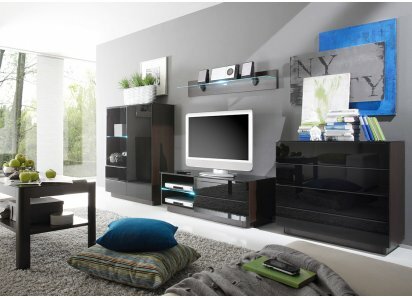 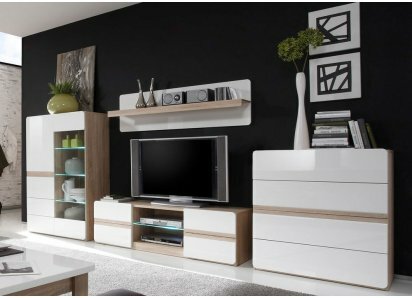 OPEN SHELF: Below the top surface is a full-length open shelf for displaying home décor and storing trays and serving platters. 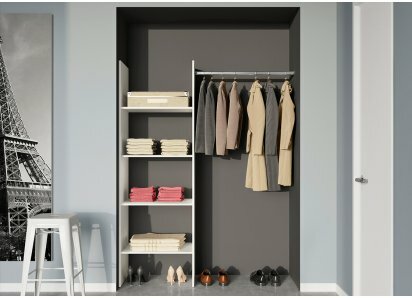 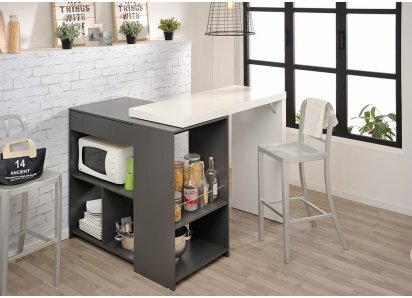 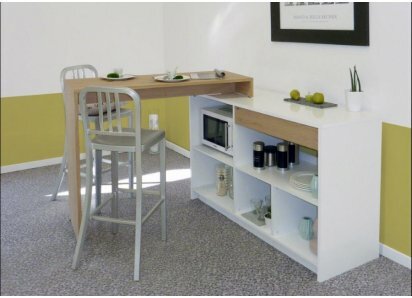 2-DOOR CABINET: A roomy cabinet behind two center-opening doors has shelving for holding dishes, serving dishes, glasses, and other dining area items. 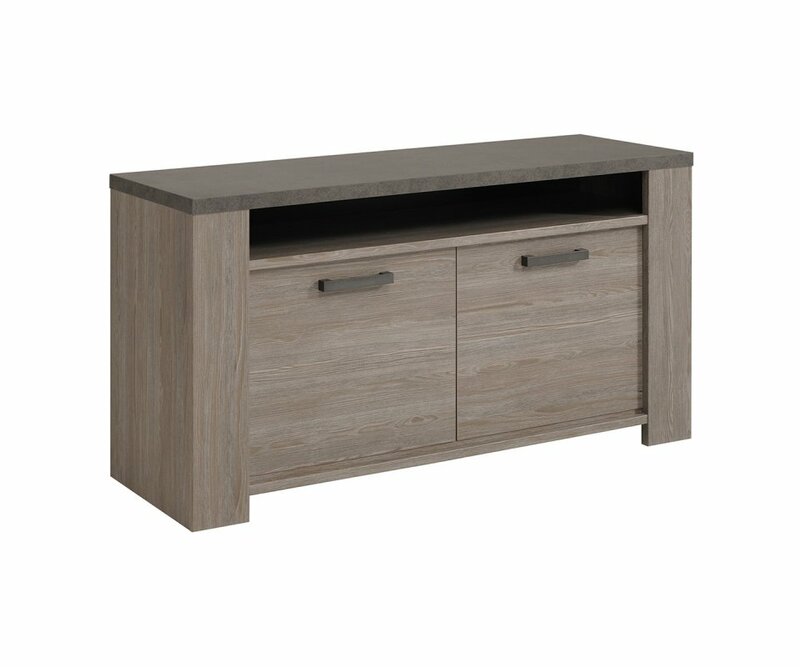 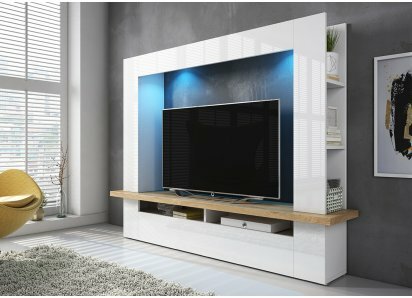 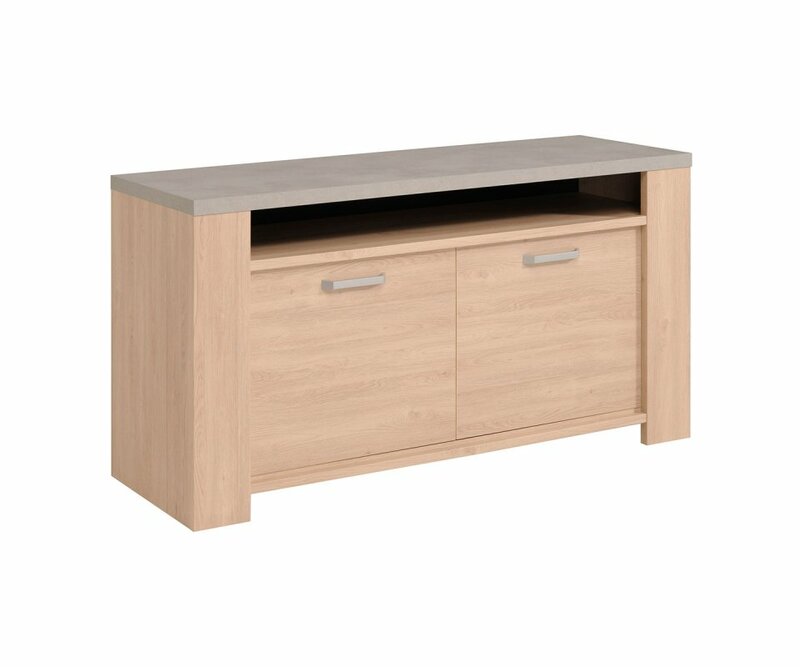 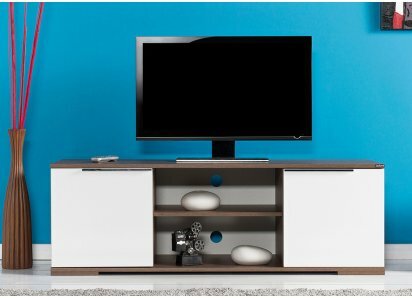 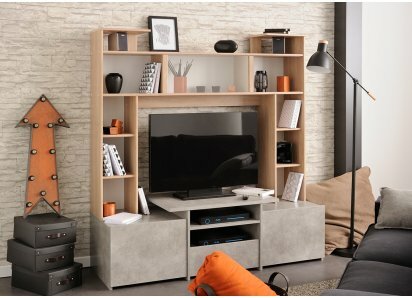 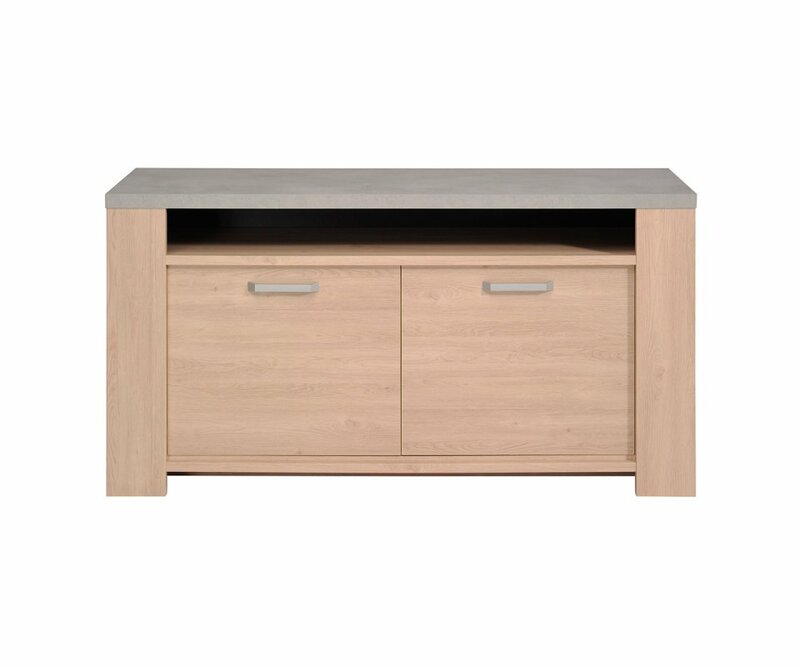 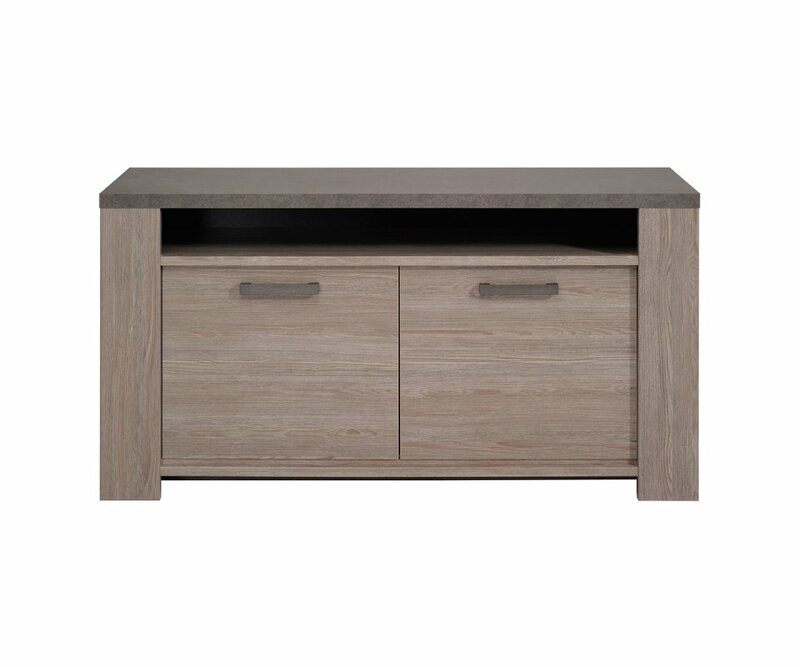 BUILT TO LAST: Made from top-grade MDF boards, joined with heavy-duty steel hardware, and finished in durable veneer that resists scratches, stains, and fading, your sideboard is sturdy and long-lasting! 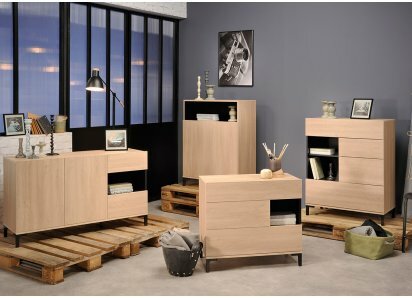 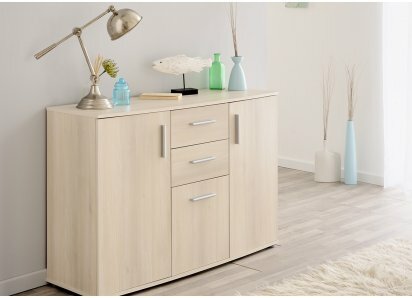 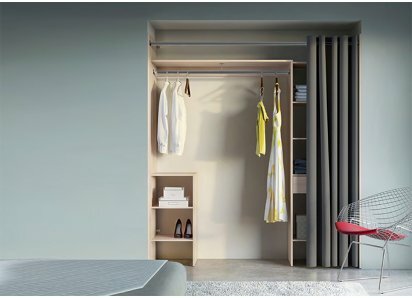 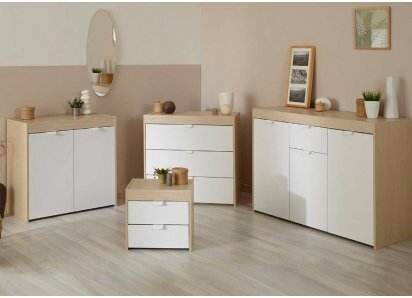 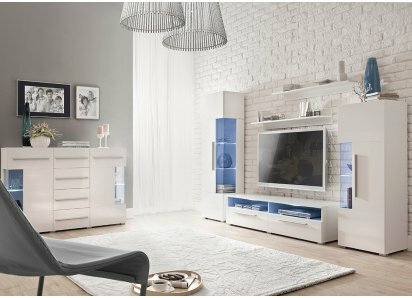 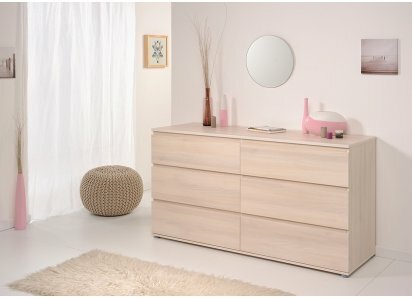 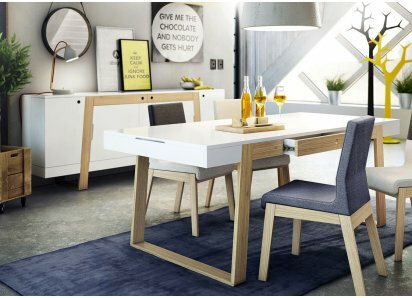 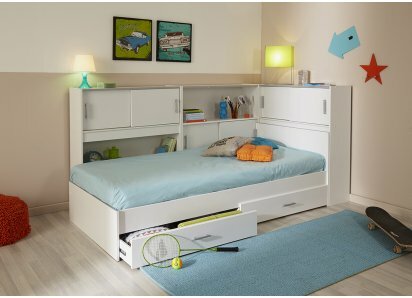 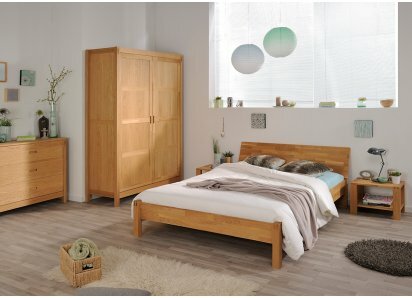 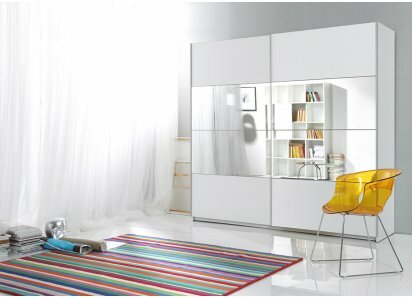 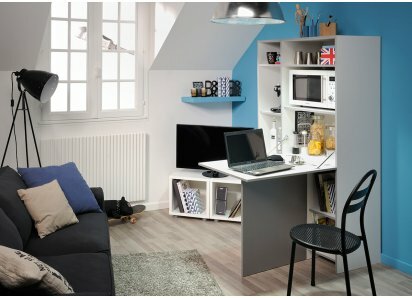 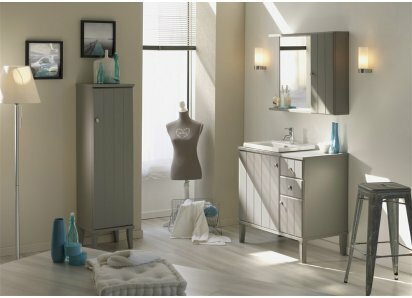 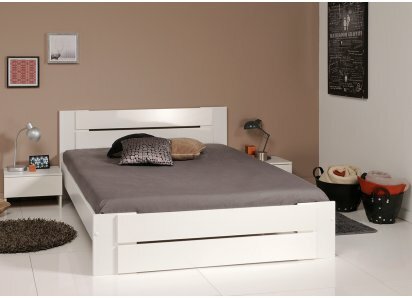 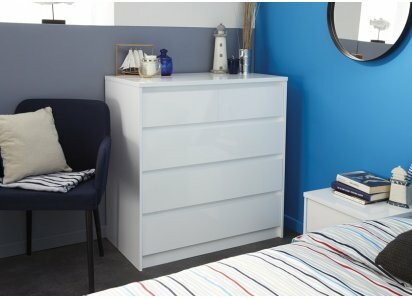 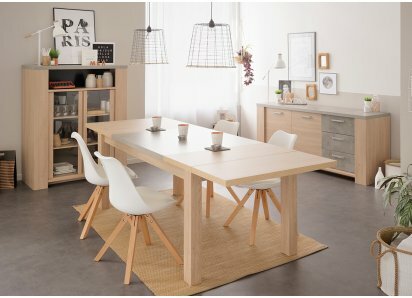 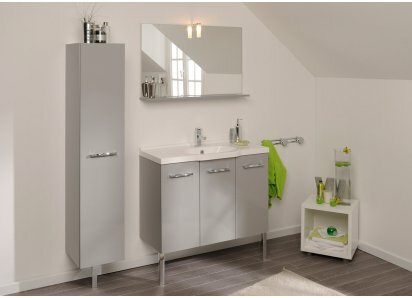 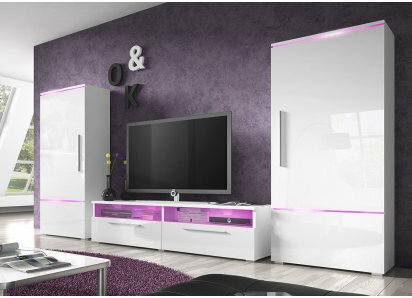 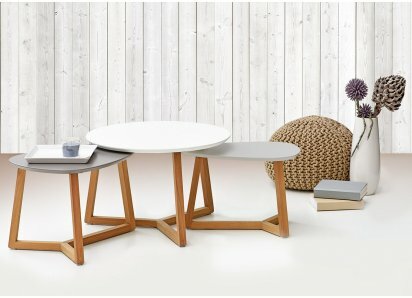 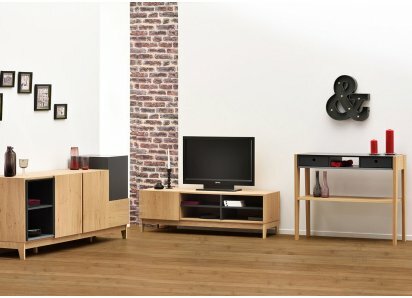 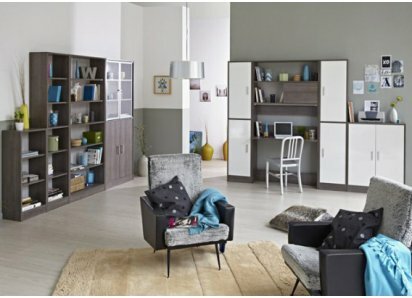 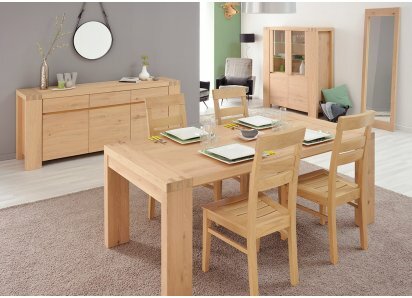 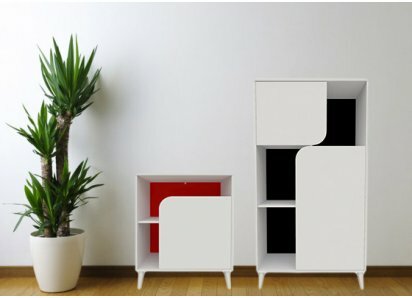 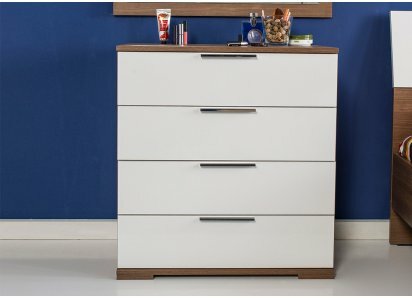 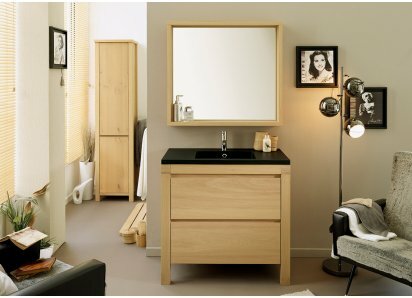 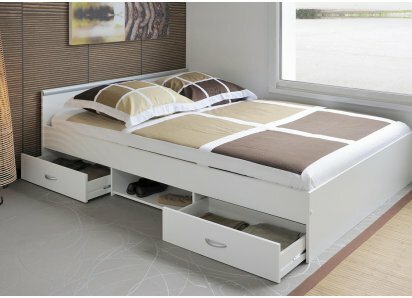 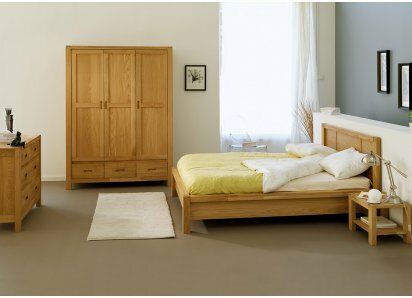 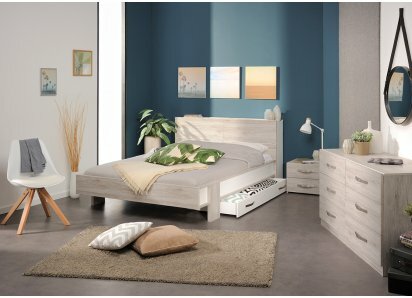 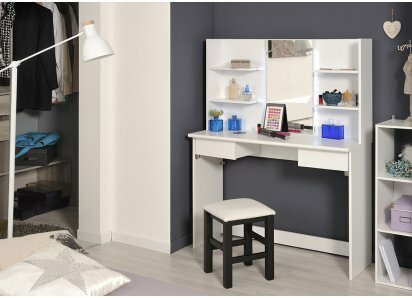 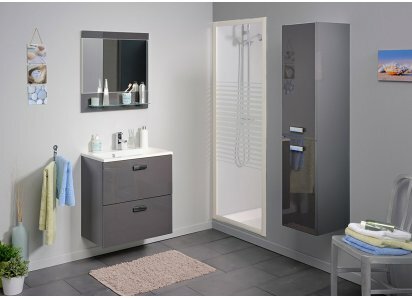 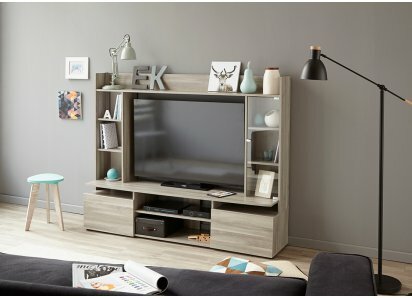 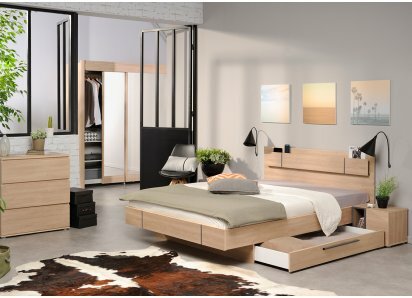 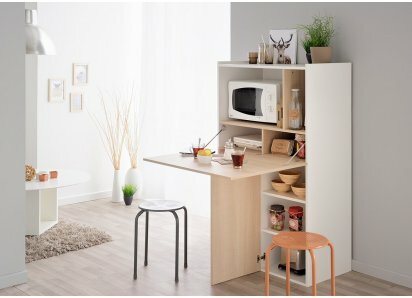 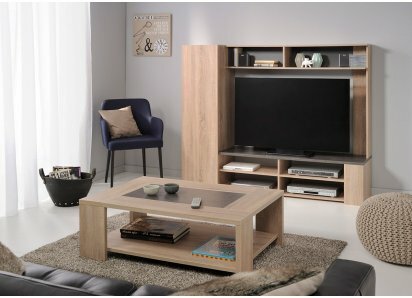 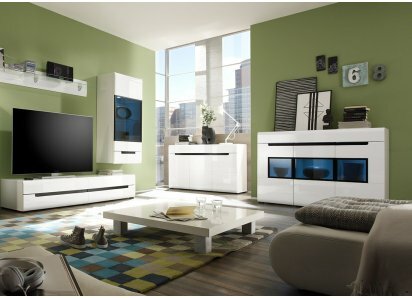 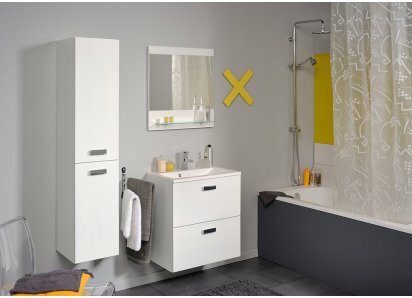 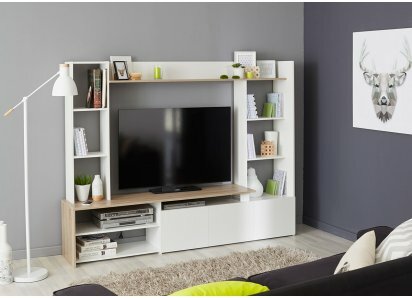 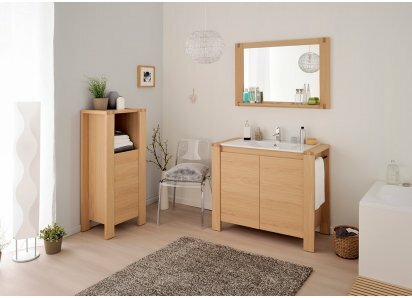 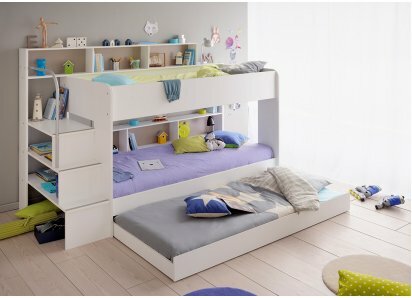 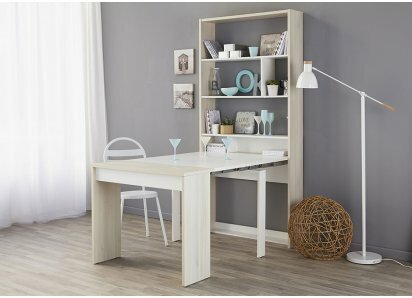 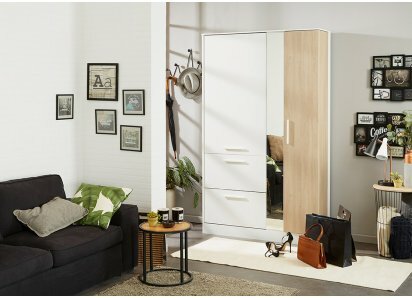 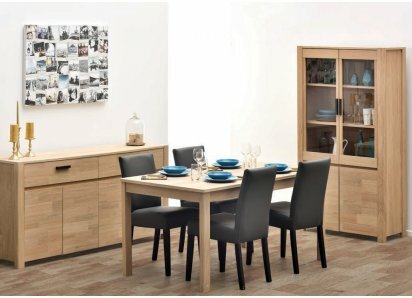 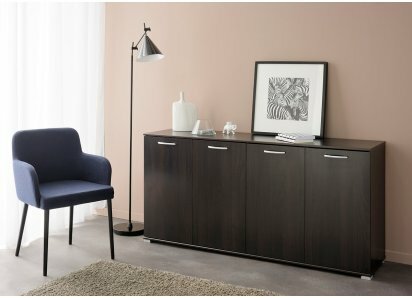 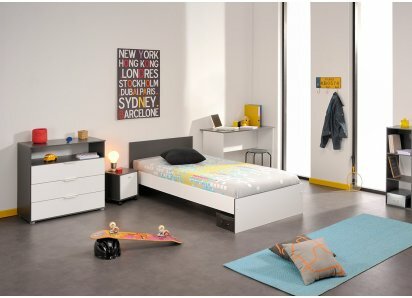 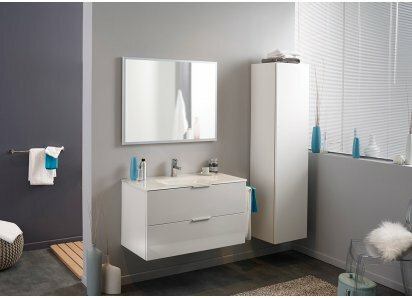 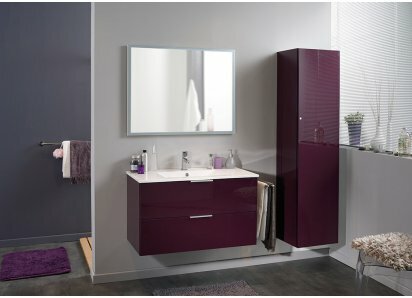 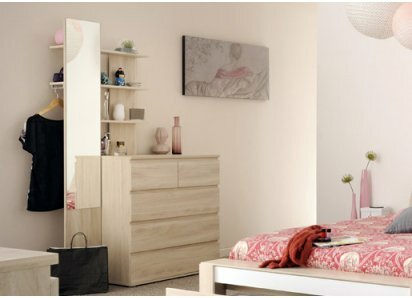 PARISOT QUALITY: Parisot of France has over 80 years’ experience making fine furniture, and is consistently evolving with the times, including being a Green Way-awarded manufacturer of eco-friendly furniture! 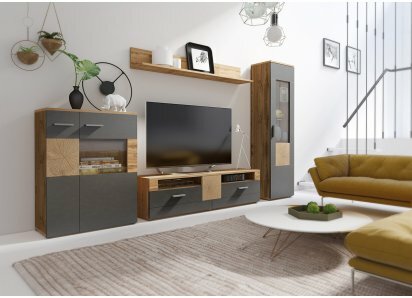 The Gossip 2-door Sideboard combines sturdy design and eclectic style that coordinates with most home décor styles and color schemes. 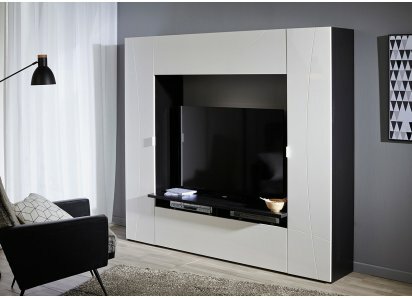 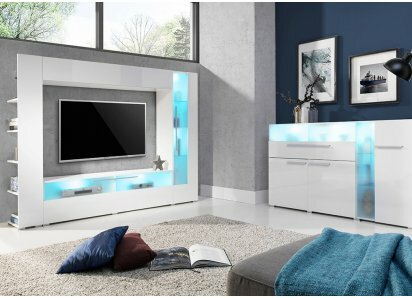 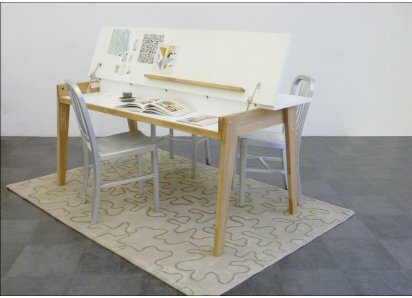 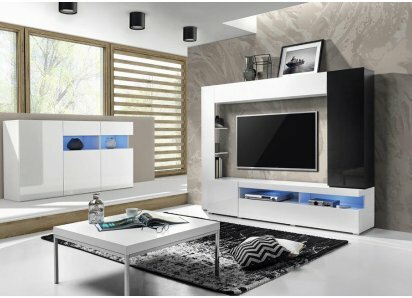 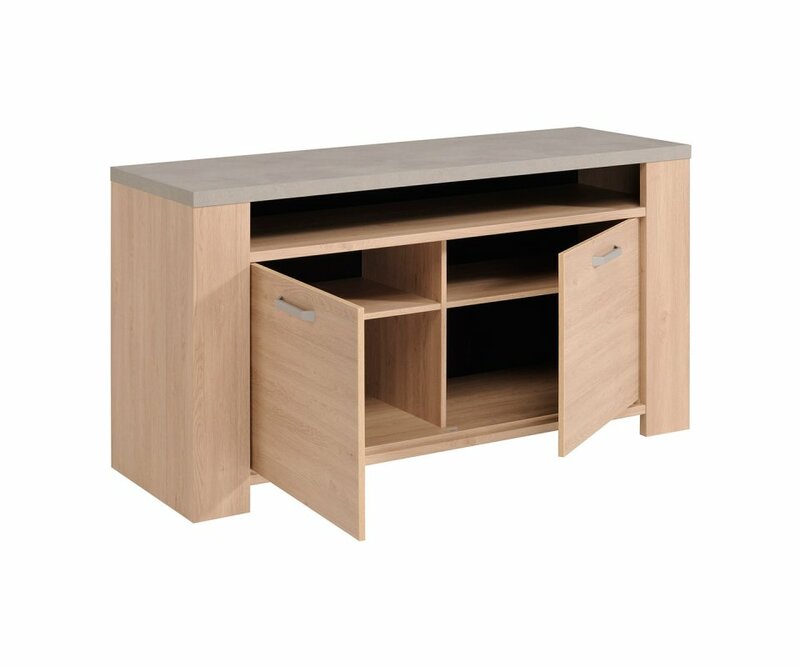 The sideboard is made from high-density MDF boards, and is finished with durable veneers that resist scratches, stains and fading. 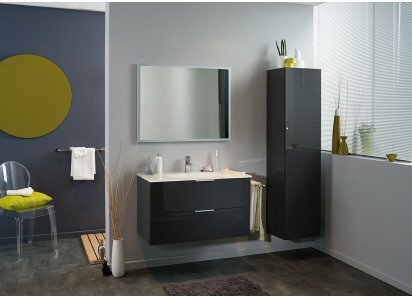 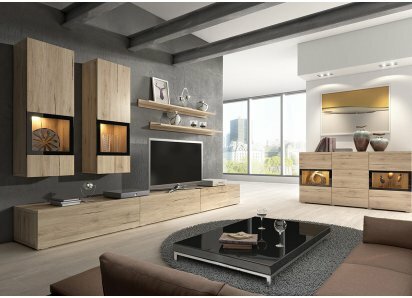 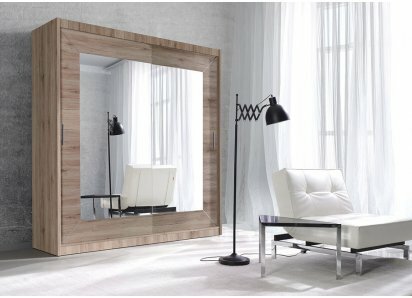 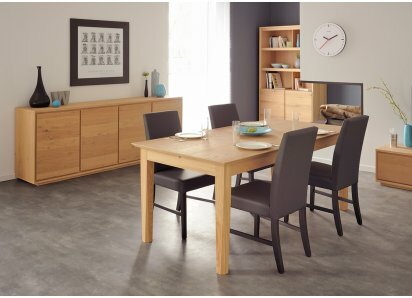 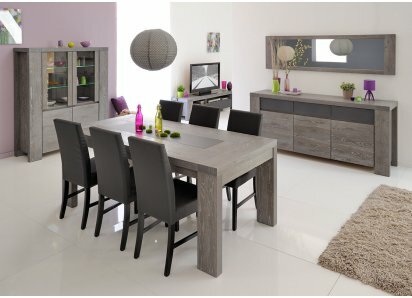 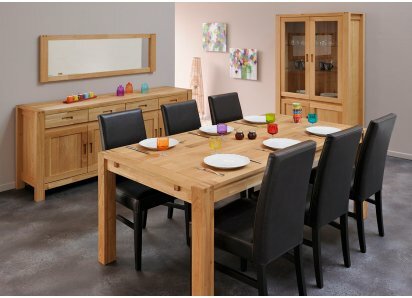 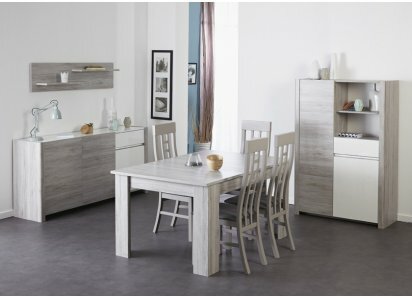 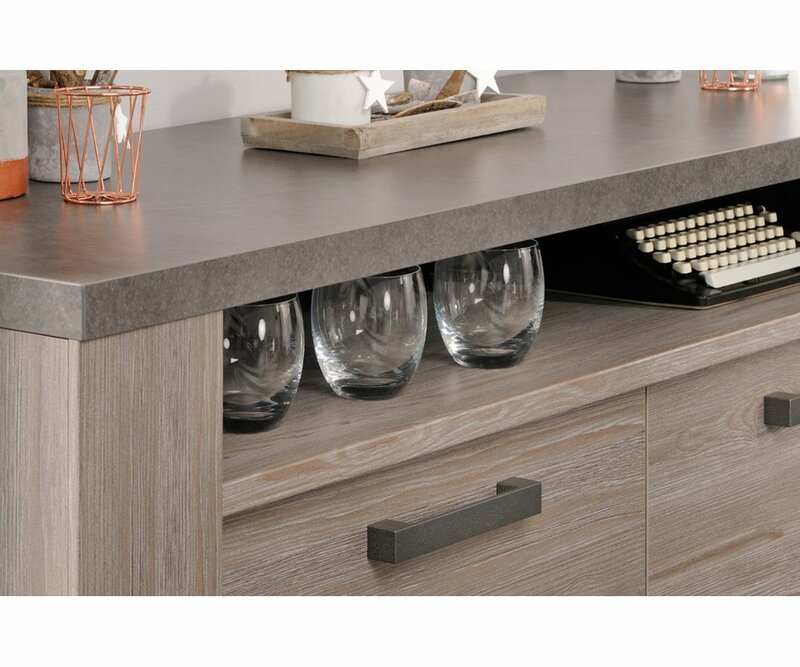 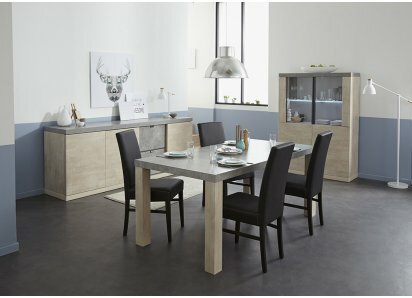 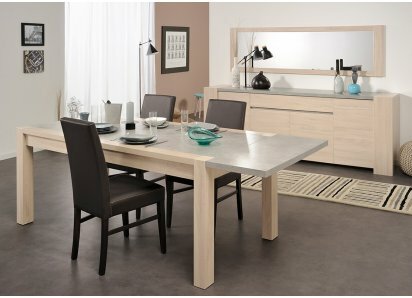 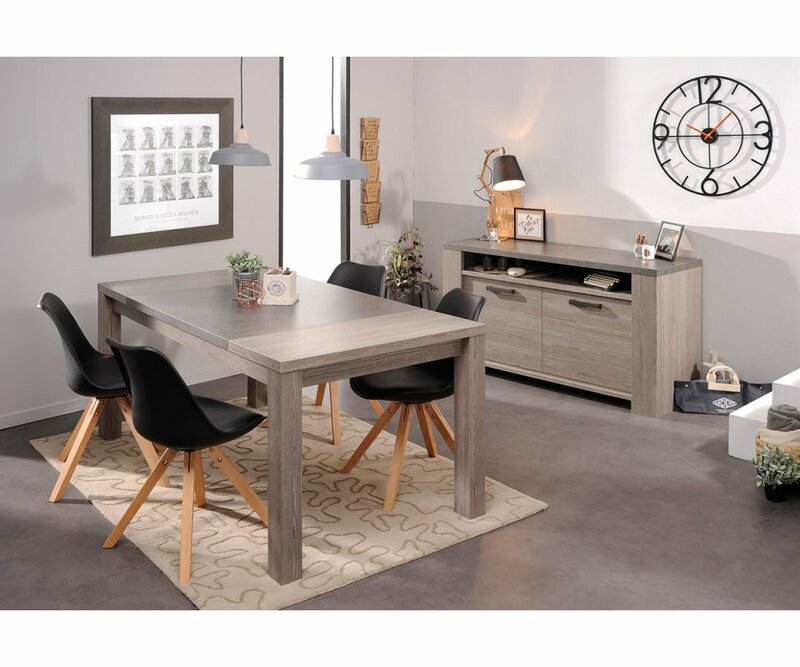 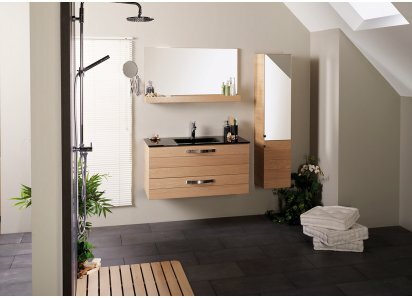 This piece offers a natural element of wood and stone effect finishes, with Clay Oak woodgrain veneer cabinets and Dark Concrete veneer counter surfaces. 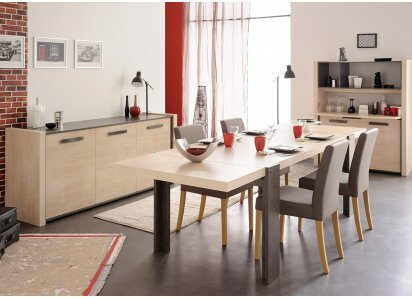 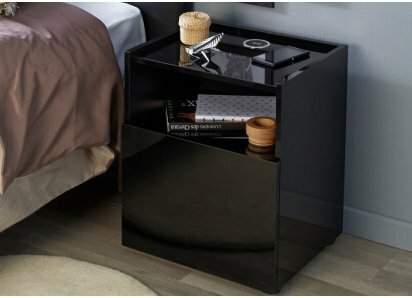 An open shelf below the top surface is ideal for trays, serving platters, and placemats, and the center-opening cabinet has interior shelves for dishes, fine china, serving pieces, and glassware. 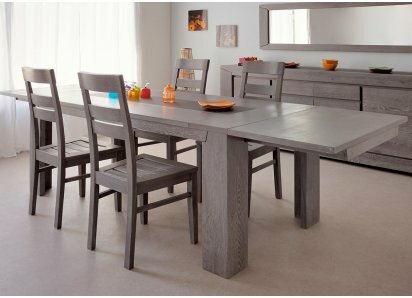 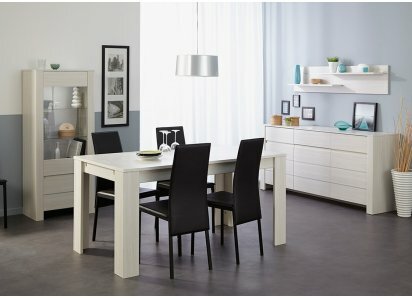 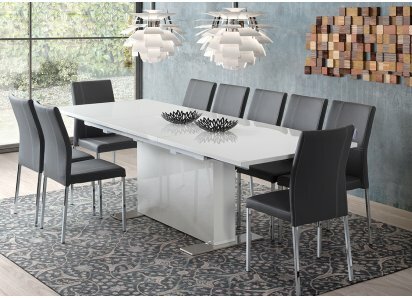 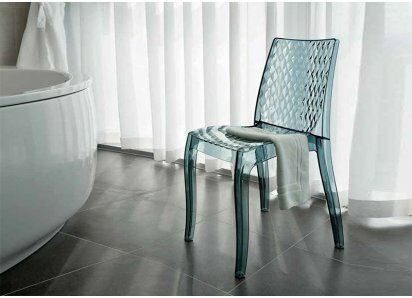 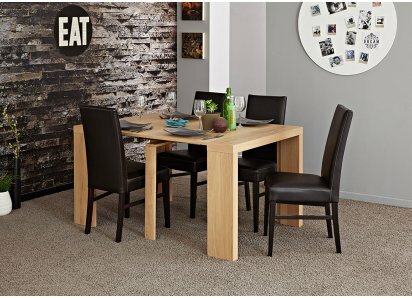 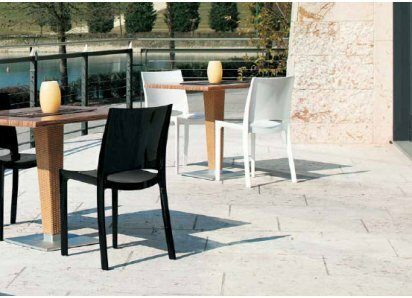 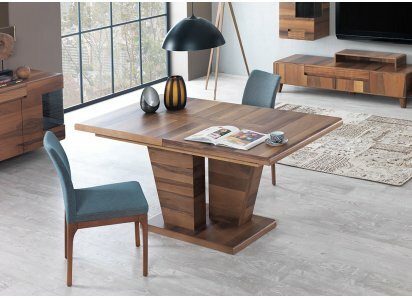 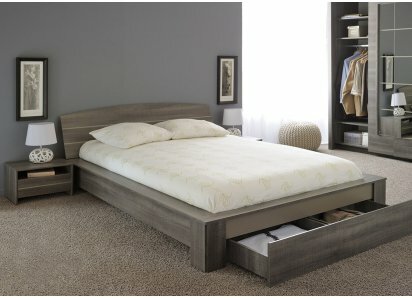 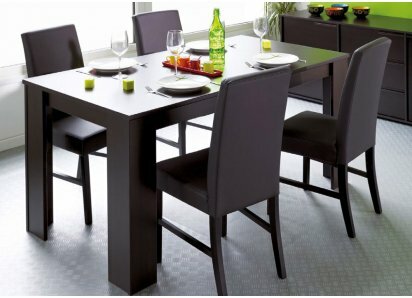 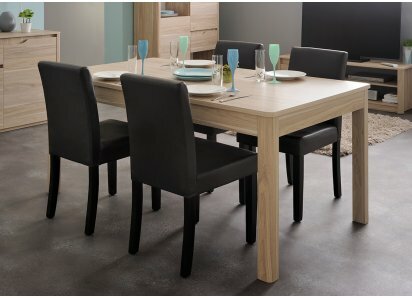 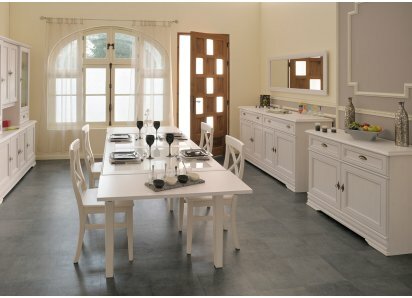 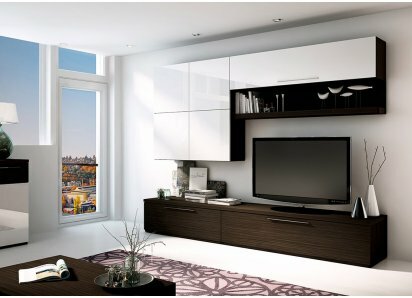 The top surface provides a buffet service for food or a bar, when entertaining family and friends. 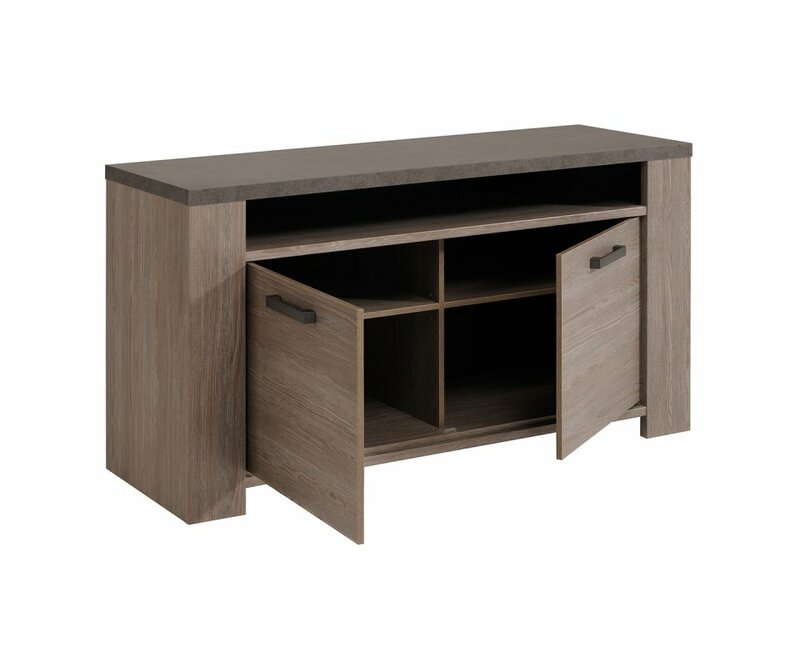 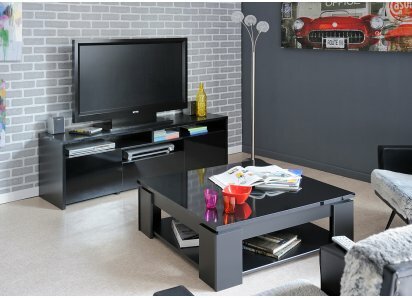 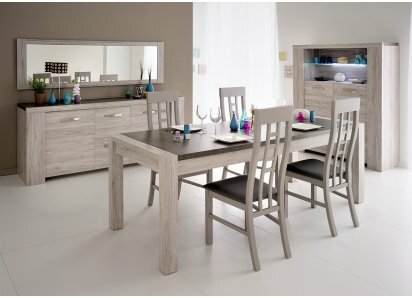 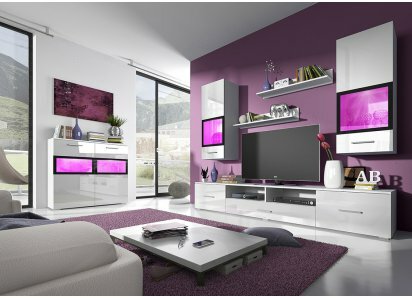 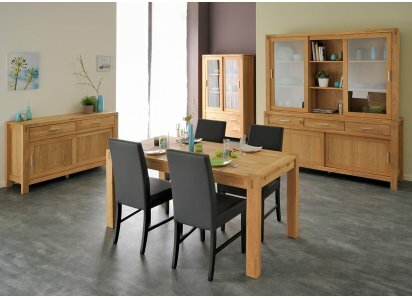 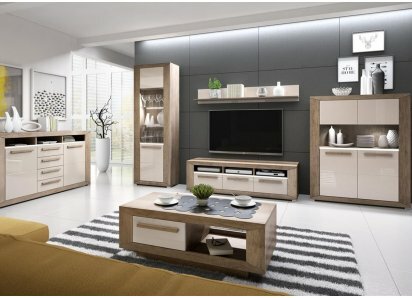 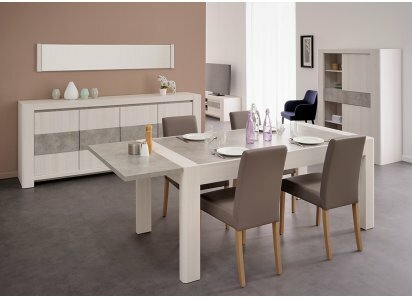 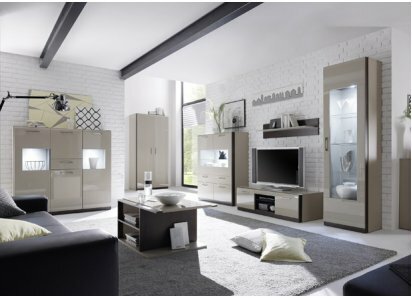 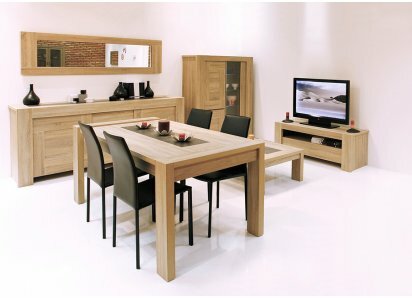 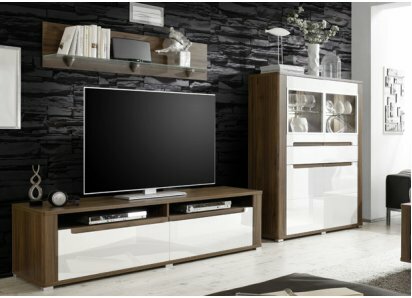 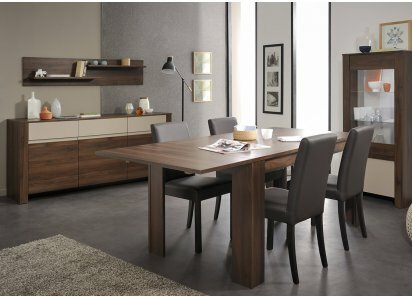 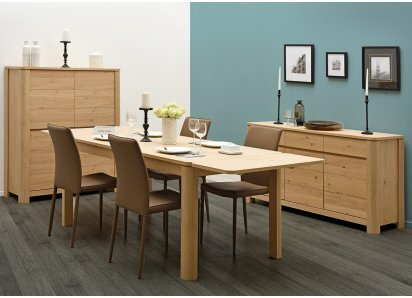 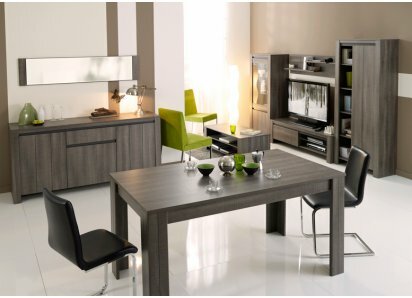 You will love the storage capacity, beauty and convenience of having the Gossip sideboard in your dining area! 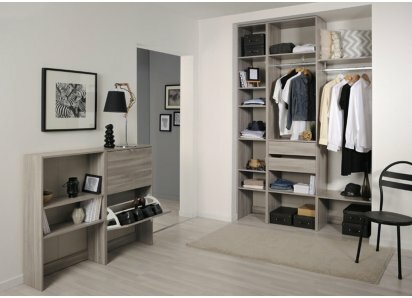 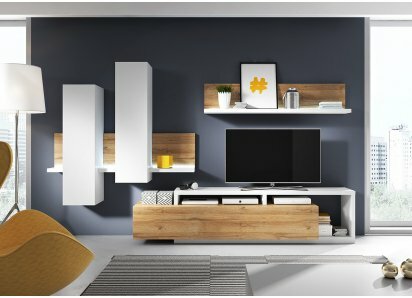 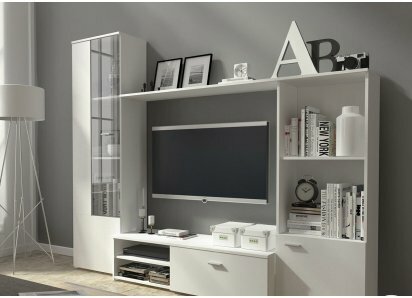 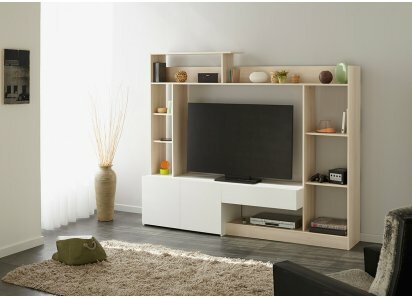 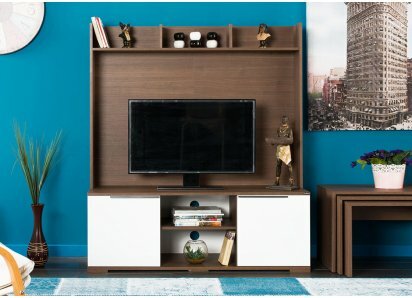 CONTEMPORARY DISPLAY CABINET: The simple lines and neutral color palette of this cabinet add a touch of nature that is a perfect setting for displaying all your favorite things!OPEN UPPER SHELF: A wide shelf below the top surface provides a display area for serving pieces, collectibles, plant..